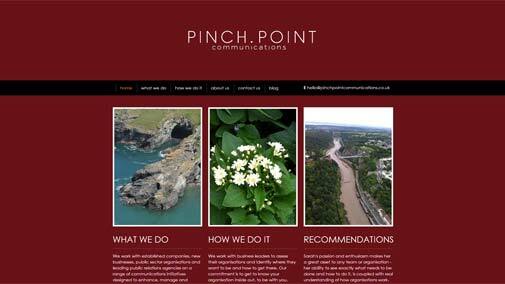 Pinch Point Communications works with established companies, new businesses, public sector organisations and leading public relations agencies on a range of internal and external communications initiatives designed to enhance, manage and defend reputation. Everything they do is to help organisations achieve their strategic business objectives. From stakeholder engagement and issues management to internal communications strategy and business change planning, Pinch Point Communications can provide senior-level communications expertise for all areas of your business strategy. They also provide training across a variety of communication areas, including strategy development, media handling and social media. The website is very easy to navigate and provides clear information for anyone that may be visiting the site.